Hibs issue club statement- but there is no mention of Lennon! 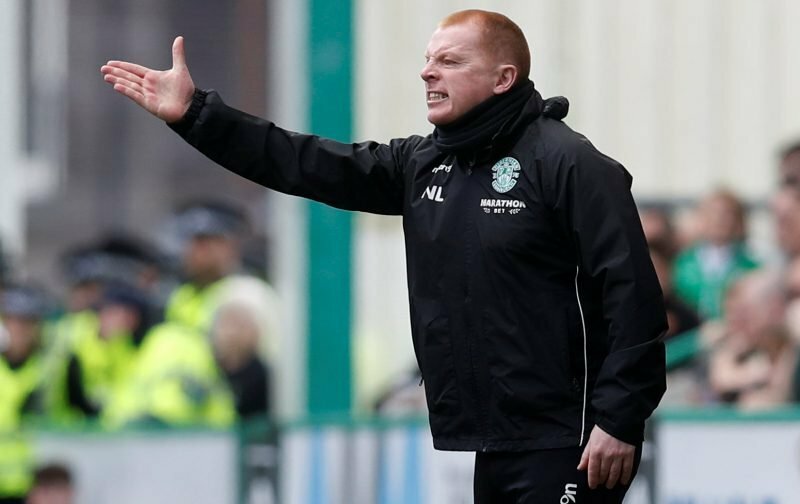 Hibs have finally issued a statement on Neil Lennon- without naming the Irishman. Late last night BBC Scotland and Sky Sports announced that Lennon had been suspended, as Saturday developed the message was that there was no way back. The way that the incident has been handled leaves a lot to be desired, finally after 5pm tonight the club decided to make a statement. Hibernian FC can confirm that Eddie May, Head of Academy Coaching, and Grant Murray, Assistant Coach, will take charge of the first team for Sunday’s Ladbrokes Premiership game against St Mirren. The full focus of the Club is on the trip to Paisley. May and Murray now have the job of lifting a demoralised side that is left in the dark about the future of their manager. Various rumours have been circulating about a turbulent Friday at the Hibs Training Centre following a players meeting and the intervention of chief executive Leeann Dempster. Lennon has 18 months left on his contract that will require to be paid up in full with a large shadow cast over whoever steps in to take charge of the club for the remainder of this season.